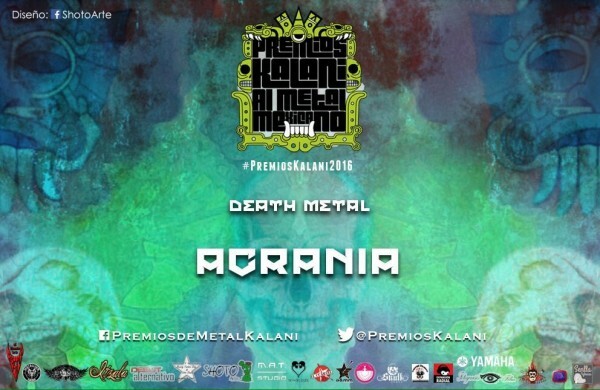 Mexican Latin Metal pioneers ACRANIA have released a new track online titled ‘People Of The Blaze’, taken from their highly anticipated forthcoming release »Fearless«. “People of the Blaze“, the first single off of “Fearless“, refers us to the “crushing of Mexican culture at the time of the conquest, its sacrifices, its pyramidal vision of society and its hegemony“. 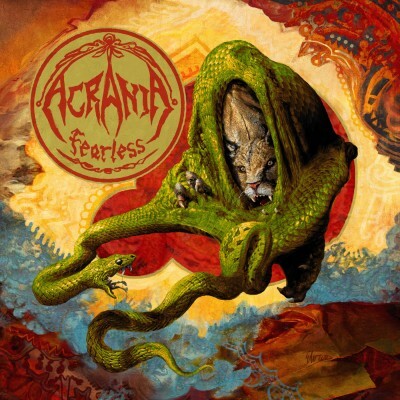 “Fearless” was produced, recorded and mixed at Archway Studios in Mexico City by drummer J.C. Chavez and guitarist/vocalist Luis Oropeza and was mastered at Tower Studio by Brett Caldas-Lima (Cynic, Megadeth). 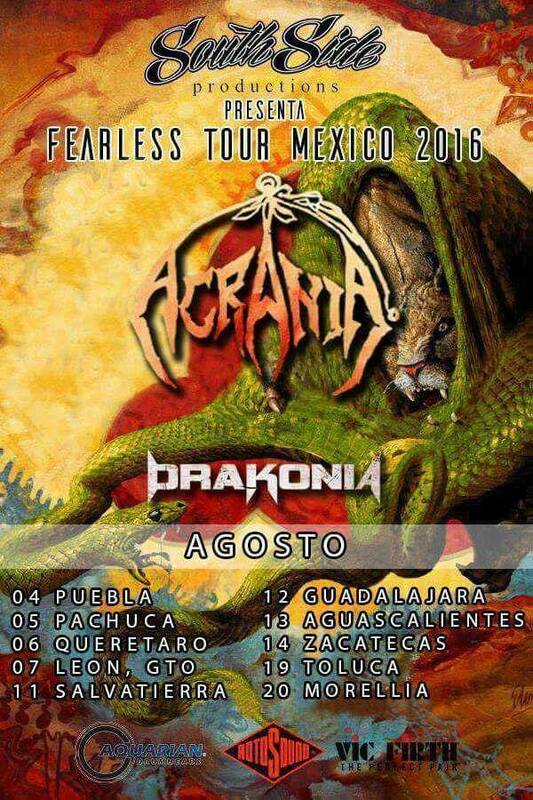 Mexican “Latin Metal” monsters ACRANIA have announced the title of the band’s upcoming album. The 3rd ACRANIA album will be entitled „Fearless“ and is set to be released April 25, 2015. The cover artwork was again in charge of Berlin-based artist Eliran Kantor, well known for his work with bands like Testament, Iced Earth, Sodom and more. Two years have past since the highly praised album “An Uncertain Collision” was released. Now ACRANIA are back – stronger than ever!